The Brookings Institution is an American research group founded in 1916 on Think Tank Row in Washington, D.C. It conducts research and education in the social sciences, primarily in economics, metropolitan policy, governance, foreign policy, and global economy and development. Its stated mission is to "provide innovative and practical recommendations that advance three broad goals: strengthen American democracy; foster the economic and social welfare, security and opportunity of all Americans; and secure a more open, safe, prosperous, and cooperative international system." 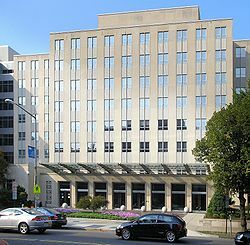 Brookings has five research programs at its Washington, D.C. campus (Economic Studies, Foreign Policy, Governance Studies, Global Economy and Development, and Metropolitan Policy) and three international centers based in Doha, Qatar (Brookings Doha Center); Beijing, China (Brookings-Tsinghua Center for Public Policy); and New Delhi, India (Brookings India). The University of Pennsylvania's Global Go To Think Tank Index Report has named Brookings "Think Tank of the Year" and "Top Think Tank in the World" every year since 2008. The Economist describes Brookings as "perhaps America’s most prestigious think-tank". Brookings states that its staff "represent diverse points of view" and describes itself as non-partisan, and various media outlets have alternately described Brookings as "conservative", "centrist" or "liberal". An academic analysis of Congressional records from 1993 to 2002 found that Brookings was referred to by conservative politicians almost as frequently as liberal politicians, earning a score of 53 on a 1–100 scale with 100 representing the most liberal score. The same study found Brookings to be the most frequently cited think tank by the U.S. media and politicians. Brookings was founded in 1916 as the Institute for Government Research (IGR), with the mission of becoming "the first private organization devoted to analyzing public policy issues at the national level." 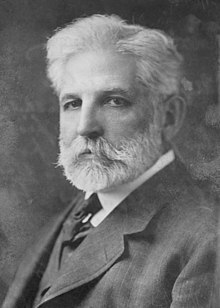 The Institution's founder, philanthropist Robert S. Brookings (1850–1932), originally financed the formation of three organizations: the Institute for Government Research, the Institute of Economics, and the Robert Brookings Graduate School affiliated with Washington University in St. Louis. The three were merged into the Brookings Institution on December 8, 1927. During the Great Depression economists at Brookings embarked on a large scale study commissioned by President Franklin D. Roosevelt to understand the underlying causes of the depression. Brookings's first president Harold Moulton and other Brookings scholars later led an effort to oppose President Roosevelt's National Recovery Administration because they thought the NRA was impeding economic recovery. With the entry into World War II in 1941, Brookings researchers turned their attention to aiding the administration with a series of studies on mobilization. In 1948, Brookings was asked to submit a plan for the administration of the European Recovery Program. The resulting organization scheme assured that the Marshall Plan was run carefully and on a businesslike basis. In 1952, Robert Calkins succeeded Moulton as president of the Brookings Institution. He secured grants from the Rockefeller Foundation and the Ford Foundation that put the Institution on a strong financial basis. He reorganized the Institution around the Economic Studies, Government Studies, and Foreign Policy Programs. In 1957, the Institution moved from Jackson Avenue to a new research center near Dupont Circle in Washington, D.C.
Kermit Gordon assumed the presidency of Brookings in 1967. He began a series of studies of program choices for the federal budget in 1969 entitled "Setting National Priorities". He also expanded the Foreign Policy Studies Program to include research in national security and defense. After the election of Richard Nixon to the presidency in 1968, the relationship between the Brookings Institution and the White House deteriorated; at one point Nixon's aide Charles Colson proposed a firebombing of the Institution. Yet throughout the 1970s, Brookings was offered more federal research contracts than it could handle. By the 1980s, the Institution faced an increasingly competitive and ideologically charged intellectual environment. The need to reduce the federal budget deficit became a major research theme as well as investigating problems with national security and government inefficiency. Bruce MacLaury, fourth president of Brookings, also established the Center for Public Policy Education to develop workshop conferences and public forums to broaden the audience for research programs. In 1995, Michael Armacost became the fifth president of the Brookings Institution and led an effort to refocus the Institution's mission heading into the 21st century. Under Armacost's direction, Brookings created several interdisciplinary research centers, such as the Center on Urban and Metropolitan Policy, now the Metropolitan Policy Program, led by Bruce J. Katz), which brought attention to the strengths of cities and metropolitan areas, and the Center for Northeast Asian Policy Studies, which brings together specialists from different Asian countries to examine regional problems. Strobe Talbott became president of Brookings in 2002. Shortly thereafter, Brookings launched the Saban Center for Middle East Policy and the John L. Thornton China Center. In October 2006, Brookings announced the establishment of the Brookings-Tsinghua Center in Beijing. In July 2007, the Institution announced the creation of the Engelberg Center for Health Care Reform to be directed by senior fellow Mark McClellan, and then in October 2007, the creation of the Brookings Doha Center directed by fellow Hady Amr in Qatar. During this period the funding of Brookings by foreign governments and corporations came under public scrutiny (see Funding controversies below). In 2011, Brookings President Strobe Talbot inaugurated the Brookings India Office. In October 2017, former general John R. Allen became the seventh president of Brookings. Brookings as an institution produces an Annual Report. The Brookings Institution Press publishes books and journals from the institution's own research as well as authors outside the organization. The books and journals they publish include Brookings Papers on Economic Activity, Brookings Review (1982–2003, ISSN 0745-1253), America Unbound: The Bush Revolution in Foreign Policy, Globalphobia: Confronting Fears about Open Trade, India: Emerging Power, Through Their Eyes, Taking the High Road, Masses in Flight, US Public Policy Regarding Sovereign Wealth Fund Investment in the United States and Stalemate to name a few. In addition, books, papers, articles, reports, policy briefs and opinion pieces are produced by Brookings research programs, centers, projects and, for the most part, by experts. Brookings traces its history back to 1916 and has contributed to the creation of the United Nations, the Marshall Plan, and the Congressional Budget Office, as well as to the development of influential policies for deregulation, broad-based tax reform, welfare reform, and foreign aid. The annual think tank index published by Foreign Policy ranks it the number one think tank in the U.S. and the Global Go To Think Tank Index believes it is the number one such tank in the world. Moreover, in spite of an overall decline in the number of times information or opinions developed by think tanks are referred to by the U.S. media, of the 200 most prominent think tanks in the U.S., the Brookings Institution's research remains the most frequently cited. In a 1997 survey of congressional staff and journalists, Brookings ranked as the first-most influential and first in credibility among 27 think tanks considered. Yet "Brookings and its researchers are not so concerned, in their work, in affecting the ideological direction of the nation" and rather tend "to be staffed by researchers with strong academic credentials". Along with the Council on Foreign Relations and Carnegie Endowment for International Peace, Brookings is generally considered one of the most influential policy institutes in the U.S.
As a 501(c)(3) non-profit organization, Brookings describes itself as independent and non-partisan. A 2005 academic study by UCLA concluded it was "centrist" because it was referenced as an authority almost equally by both conservative and liberal politicians in congressional records from 1993 to 2002. The New York Times has referred to the organization as liberal, liberal-centrist, centrist, and conservative. The Washington Post has described Brookings as centrist and liberal. The Los Angeles Times has described Brookings as liberal-leaning and centrist before opining that it did not believe such labels mattered. In 1977, Time magazine described it as the "nation's pre-eminent liberal think tank". Newsweek has described Brookings as centrist while Politico has used the term "center-left". The media watchdog group Fairness and Accuracy in Reporting, which describes itself as "progressive", has described Brookings as "centrist", "conservative", and "center-right". Journalists at The Atlantic and Salon have argued that Brookings foreign policy scholars were overly supportive of Bush administration policies abroad. Blogger Matthew Yglesias has stated that Brookings's Michael E. O'Hanlon frequently agrees with scholars from conservative organizations such as the American Enterprise Institute, The Weekly Standard, and the Project for the New American Century. Similarly, Brookings fellow and research director Benjamin Wittes is a member of the conservative Hoover Institution's Task Force on National Security and Law. Brookings scholars have served in Republican and Democratic administrations, including Mark McClellan, Ron Haskins and Martin Indyk. The Brookings Board of Trustees is composed of 53 Trustees and more than three dozen Honorary Trustees, including Kenneth Duberstein, a former chief of staff to Ronald Reagan. Aside from political figures, the board of trustees includes leaders in business and industry, including Philip H. Knight, Chairman of Nike, Inc, Robert Bass, Hanzade Doğan Boyner, Paul L. Cejas, W. Edmund Clark, Abby Joseph Cohen, Betsy Cohen, Susan Crown, Arthur B. Culvahouse Jr., Jason Cummins, Paul Desmarais Jr., Kenneth M. Duberstein, Glenn Hutchins. Notable Brookings scholars include former Federal Reserve chairs Janet Yellen and Ben Bernanke; former Fed vice chairs Donald Kohn, Alice Rivlin, and Alan Blinder; former chairmen of the president's Council of Economic Advisers (CEA) Jason Furman and Martin Neil Baily; former CEA members Sandra Black, Jay Shambaugh, and James H. Stock; dean of the University of Michigan's Ford School of Public Policy Susan M. Collins; former director of the Congressional Budget Office Douglas Elmendorf; former assistant secretary of state Martin S. Indyk; former U.S. Secretary of Education Arne Duncan; former Federal Communications Commission chairman Tom Wheeler; Washington Post columnist E. J. Dionne; and Wall Street Journal columnist William Galston. In 2002, the Brookings Institution established the Saban Center for Middle East Policy "to promote a better understanding of the policy choices facing American decision makers in the Middle East." The Center is directed by Tamara Cofman Wittes. In 2006, the Brookings Institution established the Brookings-Tsinghua Center (BTC) for Public Policy as a partnership between the Brookings Institution in Washington, D.C. and Tsinghua University's School of Public Policy and Management in Beijing, China. The Center seeks to produce research in areas of fundamental importance for China's development and for U.S.-China relations. The BTC is directed by Qi Ye. The 21st Century Defense Initiative (21CDI) is aimed at producing research, analysis, and outreach that address three core issues: the future of war, the future of U.S. defense needs and priorities, and the future of the U.S. defense system. The Initiative draws on the knowledge from regional centers, including the Center on the United States and Europe, the Center for Northeast Asian Policy Studies, the Thornton China Center, and the Saban Center for Middle East Policy, allowing the integration of regional knowledge. P. W. Singer, author of Wired for War, serves as Director of the 21st Century Defense Initiative, and Michael O'Hanlon serves as Director of Research. Senior Fellow Stephen P. Cohen and Vanda Felbab-Brown are also affiliated with 21CDI. Under Brookings President Bruce MacLaury's leadership in the 1980s, the Center for Public Policy Education (CPPE) was formed to develop workshop conferences and public forums to broaden the audience for research programs. In 2005, the Center was renamed the Brookings Center for Executive Education (BCEE), which was shortened to Brookings Executive Education (BEE) with the launch of a partnership with the Olin Business School at Washington University in St. Louis. As of 2017 the Brookings Institution had assets of $524.2 million. Its largest contributors include the Bill & Melinda Gates Foundation, the William and Flora Hewlett Foundation, the Hutchins Family Foundation, JPMorgan Chase, the LEGO Foundation, David Rubenstein, State of Qatar, and John L. Thornton. In 2014, it received $250,000 from the United States Central Command of the United States Department of Defense. The main building of the Institution was erected in 1959 on 1775 Massachusetts Avenue. In 2009, Brookings acquired a building across the street, a former mansion built by the Ingalls family in 1922 on a design by Jules Henri de Sibour. This extension now houses the office of the President of the Brookings Institution. ^ a b c d "Annual Report 2017" (PDF). Brookings.edu. Brookings Institution. Retrieved June 1, 2018. ^ a b c "About Brookings". Brookings.edu. Brookings Institution. Archived from the original on 2010-04-30. Retrieved 2010-04-29. ^ "Brookings Institution". Encyclopædia Britannica. Retrieved February 11, 2017. ^ a b "Robert Somers Brookings". Brookings.edu. Brookings Institution. Archived from the original on 2012-12-12. Retrieved 2010-04-29. ^ "Economic Studies". Brookings.edu. Brookings Institution. Retrieved February 11, 2017. ^ "Foreign Policy". Brookings.edu. Brookings Institution. Retrieved February 11, 2017. ^ "Governance Studies". Brookings.edu. Brookings Institution. Retrieved February 11, 2017. ^ "Global Economy and Development". Brookings.edu. Brookings Institution. Retrieved February 11, 2017. ^ "Metropolitan Policy Program". Brookings.edu. Brookings Institution. Retrieved February 11, 2017. ^ "Brookings Doha Cinter". Brookings.edu. Brookings Institution. Retrieved February 11, 2017. ^ "Brookings-Tsinghua Center for Public Policy". Brookings.edu. Brookings Institution. Retrieved February 11, 2017. ^ "Brookings India". Brookings.edu. Brookings Institution. Retrieved February 11, 2017. ^ "TTCSP GLOBAL GO TO THINK TANK INDEX REPORTS". UPenn.edu. University of Pennsylvania. 2017-01-31. Retrieved 2017-02-03. ^ "The New America Foundation falls into a familiar trap". The Economist. 7 September 2017. ^ "Brookings Research". Brookings.edu. Brookings Institution. 2003-06-25. Retrieved 2013-08-27. ^ a b DeParle, Jason (June 14, 2005). "Next Generation of Conservatives (By the Dormful)]". The New York Times. ^ Kurtzleben, Danielle (March 3, 2011). "Think Tank Employees Tend to Support Democrats". U.S. News & World Report. Retrieved February 14, 2016. ^ a b c "A Measure of Media Bias" (PDF). The Quarterly Journal of Economics (4). November 2005. Archived from the original (PDF) on 2011-06-08. Retrieved 2013-08-27. ^ "Brookings Institution History". Brookings.edu. Brookings Institution. Retrieved February 11, 2017. ^ Critchlow, Donald T. (1985). The Brookings Institution, 1916–1952: Expertise and the Public Interest in a Democratic Society. DeKalb, Illinois: Northern Illinois University Press. ^ "Brookings History: The Depression". Brookings.edu. Brookings Institution. Archived from the original on July 12, 2007. Retrieved February 11, 2017. ^ "Brookings History: War and Readjustment". Archived from the original on July 12, 2007. ^ "Brookings History: Academic Prestige". Archived from the original on August 14, 2007. ^ Woodward, Bob; Bernstein, Carl (June 1974). All the President's Men. Simon & Schuster. p. 324. ^ "Brookings History: National Doubts and Confusion". Archived from the original on August 14, 2007. ^ Easterbrook, Gregg (1986-01-01). "Ideas Move Nations". The Atlantic. Retrieved 2017-12-30. ^ "Bruce K. MacLaury – Federal Reserve History". www.federalreservehistory.org. ^ "Brookings History: Setting New Agendas". Archived from the original on July 12, 2007. ^ "Former U.S. Ambassador and Veteran Diplomat to Deliver Convocation". Carleton. 2010-11-01. Retrieved 2018-07-16. ^ "Centennial Scholar Initiative". Brookings Institution. Retrieved 2017-12-30. ^ "Bates Gill". The Conversation. 2017-09-14. Retrieved 2018-07-09. ^ "Strobe Talbott to be first distinguished visitor at Buffett Institute". Northwestern University. 2017-10-13. Retrieved 2018-07-16. ^ "FDA reserves course on a 4.2 Million no-bid grant to a former commissioner". The Washington Post. 2018-05-16. Retrieved 2018-06-16. ^ "A Second Discussion with Hady Amr, Director, Brookings Institute Doha Center, Qatar". Berkley Center for Religion, Peace, and World Affairs. 2007-10-15. Retrieved 2018-07-09. ^ Datta, Kanika (2013-04-26). "Tea with BS: Strobe Talbott". Business Standard India. Retrieved 2017-11-15. ^ "Brookings India". Brookings India. Retrieved 2017-11-15. ^ "John R. Allen named next Brookings Institution president". Brookings Institution. October 4, 2017. ^ "Brookings Annual Report". Brookings.edu. Brookings Institution. Retrieved 2010-04-29. ^ "Brookings Institution Press". Brookings.edu. Retrieved 2010-04-29. ^ "About BPEA". Brookings.edu. Brookings Institution. Retrieved January 27, 2017. ^ "The Brookings review Journal". ResearchGate. Retrieved March 13, 2017. ^ "The Brookings Review on JSTOR". JSTOR. Retrieved March 13, 2017. ^ West, Darrell M.; Kimball, Rick; Nathoo, Raffiq; Zwirn, Daniel; Ramachandran, Vijaya; Goldstein, Gordon M.; Moser, Joel H. (December 1, 2014). "Rebuilding America: The Role of Foreign Capital and Global Public Investors" (PDF). RichardAKimballJr.com. Governance Studies, Brookings Institution. Retrieved January 27, 2017. ^ "Brookings Press Blog". Brookingspress.typepad.com. Archived from the original on October 13, 2007. Retrieved 2010-04-29. ^ "Brookings Institution Press: Books". Brookings.edu. Brookings Institution. Retrieved 2010-04-29. ^ "Brookings Institution History". Archived from the original on 2010-02-13. ^ "Foreign Policy: The Think Tank Index". Archived from the original on May 20, 2009. ^ "Global Go To Think Tank Index, 2011" (PDF). January 23, 2012. Archived from the original (PDF) on May 6, 2013. Retrieved October 10, 2012. ^ a b Dolny, Michael (May–June 2006). "Study Finds First Drop in Think Tank Cites". Extra!. Fairness and Accuracy in Reporting (FAIR). ^ Groseclose, Tim; Milyo, Jeff (December 2004). "A Measure of Media Bias". Archived from the original on November 22, 2008. ^ a b Rich, Andrew (Spring 2006). "War of Ideas: Why Mainstream and Liberal Foundations and the Think Tanks they Support are Losing in the War of Ideas in American Politics" (PDF). Stanford Social Innovation Review. Stanford University. ^ Dolny, Michael (April 2008). "The Incredible Shrinking Think Tank". Extra!. Fairness and Accuracy in Reporting (FAIR). Archived from the original on January 22, 2012. ^ Redburn, Tom (September 24, 2000). "ECONOMIC VIEW; Friedman And Keynes, Trading Pedestals". The New York Times. ^ Saxon, Wolfgang (January 13, 2006). "Marshall A. Robinson, 83, Former Foundation Chief, Dies". The New York Times. ^ Becker, Elizabeth (September 8, 1999). "Air Force's Newest Jet Fighter Is in Fierce Fight, in Capitol". The New York Times. ^ "The Way to Save". The New York Times. February 20, 2006. ^ "Mr. Obama's Jobs Plan". The Washington Post. December 9, 2009. ^ Montgomery, Lori (June 21, 2007). "Stumping for Attention To Deficit Disorder". The Washington Post. ^ Froomkin, Dan (November 13, 2006). "The Unbelievable Karl Rove". The Washington Post. ^ Kessler, Glenn (April 15, 2002). "2003 Budget Completes Big Jump in Spending". The Washington Post. ^ "Left-leaning' or 'Nonpartisan'?". Los Angeles Times. May 13, 2008. Retrieved January 27, 2017. ^ Reynolds, Maura; Simon, Richard (January 17, 2008). "Parties Suggest They'd Yield for Stimulus Pact". Los Angeles Times. Retrieved January 27, 2017. ^ Meyer, Josh (February 2, 2008). "U.S. Won't Say Who Killed Militant". Los Angeles Times. ^ Goldberg, Jonah (July 24, 2007). "A green light to genocide". Los Angeles Times. Retrieved January 27, 2017. ^ "The Other Think Tank". Time. September 19, 1977. ^ "Economists Agree: Unemployment Will Stay High Through November". Newsweek. May 25, 2010. ^ Epstein, Reid J. (November 14, 2011). "Jon Huntsman veers campaign to Brookings". Politico.com. ^ "What's FAIR?". Fairness & Accuracy in Reporting. Retrieved 14 December 2018. ^ Dolny, Michael (March–April 2002). "Think Tanks in a Time of Crisis". Extra!. Fairness and Accuracy in Reporting (FAIR). ^ Husseini, Sam (November–December 1998). "Brookings: The Establishment's Think Tank". Extra!. Fairness and Accuracy in Reporting (FAIR). Retrieved February 11, 2017. ^ Soley, Lawrence (1991). "Brookings: Stand-In for the Left". Extra!. Fairness and Accuracy in Reporting (FAIR). ^ a b Yglesias, Matthew (August 24, 2007). "Very Serious Indeed". The Atlantic. ^ Greenwald, Glenn (August 12, 2007). "The Truth Behind the Pollack-O'Hanlon Trip to Iraq". Salon.com. Retrieved January 27, 2017. ^ "Yoonited States of America". NewRepublic.com. Retrieved 2010-04-29. ^ "Mark B. McClellan". Brookings.edu. Brookings Institution. Archived from the original on March 14, 2012. Retrieved 2013-08-27. ^ "Ron Haskins". Brookings.edu. Brookings Institution. Retrieved 2013-08-27. ^ "Martin S. Indyk". Brookings.edu. Brookings Institution. Archived from the original on 2013-08-26. Retrieved 2013-08-27. ^ "The Brookings Institution Experts". Brookings.edu. Brookings Institution. Retrieved 2013-08-27. ^ "Board Of Trustees". Brookings.edu. Retrieved 2017-04-25. ^ "Brookings Institution: Total Contributions | OpenSecrets". www.opensecrets.org. Retrieved 2018-12-10. ^ "Janet L. Yellen". 2 February 2018. ^ "Ben S. Bernanke". 4 July 2016. ^ "Donald Kohn". 6 May 2016. ^ "Alice M. Rivlin". 6 July 2016. ^ "Martin Neil Baily". 31 March 2016. ^ "Sandra E. Black". 23 January 2017. ^ "Jay Shambaugh". 1 August 2017. ^ "James Stock". 6 October 2015. ^ "Susan M. Collins". 11 January 2013. ^ "Douglas W. Elmendorf". Brookings. ^ "Martin S. Indyk". 13 May 2016. ^ "Arne Duncan". 25 April 2016. ^ "Tom Wheeler". 22 June 2017. ^ "E.J. Dionne". 22 April 2016. ^ "William A. Galston". 4 May 2016. ^ "About Us". Brookings.edu. Saban Center for Middle East Policy, Brookings Institution. Archived from the original on 2008-03-06. ^ "Tamara Cofman Wittes". Brookings.edu. Brookings Institution. Retrieved 2013-08-27. ^ "About the Brookings-Tsinghua Center for Public Policy". Brookings.edu. Brookings Institution. Retrieved 2015-12-11. ^ "Brookings-Tsinghua Center". Brookings.edu. Brookings Institution. Retrieved 2015-12-11. ^ "21st Century Defense Initiative". Brookings.edu. Brookings Institution. Retrieved 2010-04-29. ^ a b "About the 21st Century Defense Initiative at Brookings". Brookings.edu. Brookings Institution. Retrieved November 1, 2011. ^ "Vanda Felbab-Brown". Brookings.edu. Brookings Institution. Retrieved 2013-08-27. ^ "21st Century Defense Initiative: Experts". Brookings.edu. Brookings Institution. Retrieved November 1, 2011. ^ "About Brookings Executive Education". Brookings.edu. Brookings Institution. Retrieved November 1, 2011. ^ Kucinich, Dennis (October 26, 2016). "Why Is the Foreign Policy Establishment Spoiling for More War? Look at Their Donors". The Nation. Retrieved October 27, 2016. The Brookings Institute [sic], in a report to Congress, admitted it received $250,000 from the US Central Command, Centcom, where General Allen shared leadership duties with General David Petraeus. Pentagon money to think tanks that endorse war? This is academic integrity, DC-style. ^ a b c d Lipton, Eric (September 6, 2014). "Foreign Powers Buy Influence at Think Tanks". The New York Times. Retrieved September 17, 2014. ^ "Longstanding Partners: Norway and Brookings". The New York Times. September 6, 2014. Retrieved September 17, 2014. ^ a b "The High North, Climate Change and Norway". The New York Times. September 6, 2014. Retrieved September 17, 2014. ^ "Trusting in Preservation". The Washington Post. 1979-11-24. Retrieved 2018-07-09. Abelson, Donald E. Do Think Tanks Matter? : Assessing the Impact of Public Policy Institutes (2009). Weidenbaum, Murray L. The Competition of Ideas: The World of the Washington Think Tanks (2011). Wikimedia Commons has media related to Brookings Institution. Greenwald, Glenn (July 30, 2007). "The really smart, serious, credible Iraq experts O'Hanlon and Pollack". Salon.com. Archived from the original on February 20, 2010. Retrieved January 27, 2017.